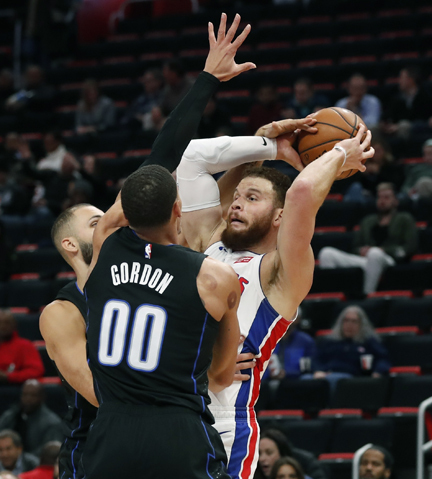 DETROIT (AP) — Andre Drummond’s bad habits bother Detroit Pistons coach Dwane Casey. Luckily for Casey and the Pistons, Drummond’s good moments can win basketball games. Drummond had 14 points, 11 offensive rebounds and 11 defensive rebounds to record his 11th career “Moses Malone triple-double.” Only Malone (24) and Dennis Rodman (17) have recorded more since the ABA-NBA merger. Drummond, though, doesn’t impress his coach as a point guard, especially when he tries to go coast-to-coast after a rebound.